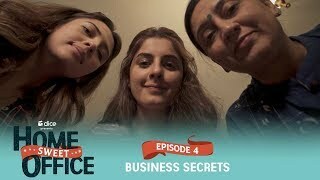 What The Folks Season 2 - This time around, Dice Media takes you to Nikhils side of the family - the affable Solankis - as Anita now tries to be a part of this crazy family! 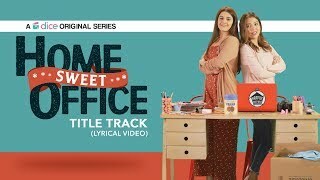 Dice Media and Epigamia present What The Folks! 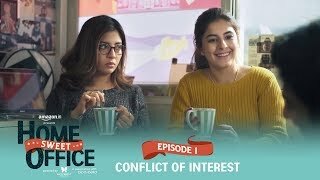 Season 2, powered by Pepperfry, in partnership with Google. After the bitter public spat at Hasmukhbhais birthday party, the Solankis are back in Mumbai. Everyone is still reeling from the aftershock of the fight. Shreya and Nikhil are not on talking terms, and Anita is caught somewhere in the crossfire. As the days pass by and anger gradually metamorphoses into guilt and pain, the family realizes that everything can be made alright if youre with your loved ones. POCKET ACES PICTURES PVT. 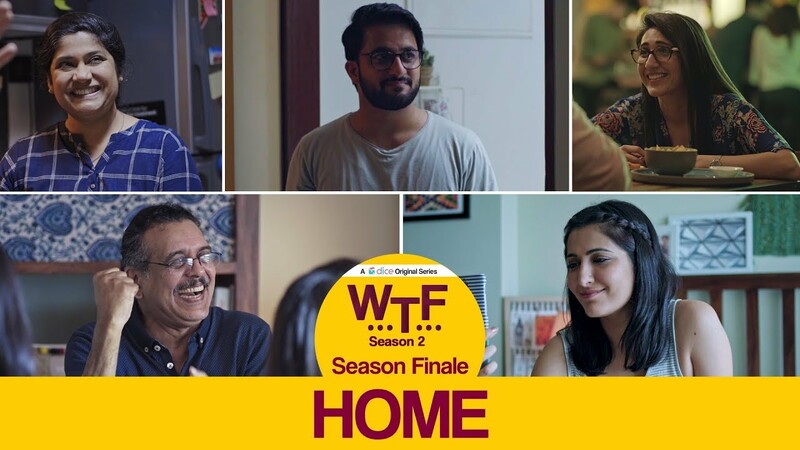 LTD.
© 2018 Scratchu.com Dice Media | What The Folks (WTF) | Web Series | S02E06 - Home (Season 2 Finale) - What The Folks Season 2 - This time around, Dice Media takes you to Nikhils side of the family - the affable Solankis - as Anita now tries to be a part of this crazy family! Dice Media and Epigamia present What The Folks! 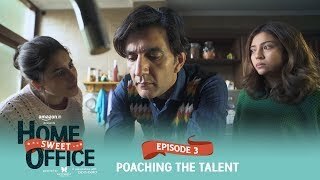 Season 2, powered by Pepperfry, in partnership with Google. 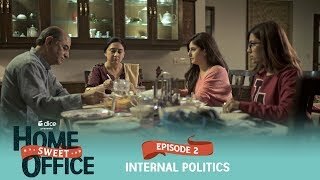 Episode 6 After the bitter public spat at Hasmukhbhais birthday party, the Solankis are back in Mumbai. Everyone is still reeling from the aftershock of the fight. 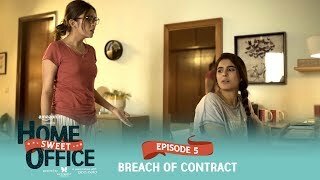 Shreya and Nikhil are not on talking terms, and Anita is caught somewhere in the crossfire. As the days pass by and anger gradually metamorphoses into guilt and pain, the family realizes that everything can be made alright if youre with your loved ones. 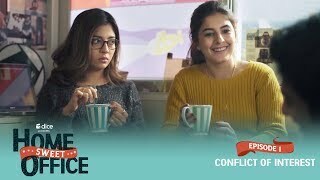 AN ORIGINAL SERIES BY DICE - A POCKET ACES CHANNEL LOCATION COURTESY AJMERA GROUP PRODUCED BY ASHWIN SURESH ANIRUDH PANDITA ADITI SHRIVASTAVA DIRECTOR OMAR IYER SERIES DIRECTOR RUCHIR ARUN STORY SIDHANTA MATHUR ANAND BHARDWAJ AYESHA NAIR WRITERS ANAND BHARDWAJ AYESHA NAIR CREATIVE PRODUCTION & DEVELOPMENT BHARAT MISRA SIDHANTA MATHUR STARRING (In Alphabetical order) EISHA CHOPRA KRITI VIJ RENUKA SHAHANE SHISHIR SHARMA VEER RAJWANT SINGH EXECUTIVE PRODUCERS ABHISHEK KUMAR LALIT RAJ ARORA DIRECTOR OF PHOTOGRAPHY ANIRUDDHA PATANKAR PRODUCTION DESIGNERS NIMISH KOTWAL RIYAZ SHAIKH EDITOR SAUMYA SHARMA ORIGINAL MUSIC & BACKGROUND SCORE NEEL ADHIKARI SYNC SOUND SANDRO SADHUKHAN SOUND DESIGN & MIX SANDRO SADHUKHAN BAIJAYANTA ROY DI COLORIST TAPASVI ASIJA (Arts for Production) COSTUME DESIGNER ANINDITA SINGHVI HAIR & MAKE-UP SNEHA J RATHI LINE PRODUCER NIPUN MALHOTRA CASTING BY CASTING BAY CAST (In Alphabetical Order) ANULA NAVLEKAR DHRUV SEHGAL KUMAR SANJU RAVINDRA TEHARE SAURAV KHURANA CHIEF ASSISTANT DIRECTOR VARUN KUMAR 2ND ASSISTANT DIRECTORS ANTARA ANAND KANAK RAJU KUMAR SANJU SCRIPT AND CONTINUITY SUPERVISOR ROHIT CHAUHAN 2ND UNIT DOP PRATIK PARMAR FOCUS PULLERS AJINKYA PANDIT JAIRAJ SHETTY ADDITIONAL 2ND UNIT DOP AMEYA KALE ART DIRECTOR SHRADDHA HEREKAR ASSISTANT ART DIRECTORS ABHISHEK JADHAV ANAYA JOSHI MAMATA POKALE SHREYAS SHELAR SETTING BOYS LAXMAN BATTALWAD RAVINDRA SALVE RAVINDRA TEHARE UDAY PRAKASH JADHAV SUBTITLES ANTARA ANAND VISUAL DESIGN TEAM SIDHANT GANDHI MANOJ OMRE SHREYA SETHI GAURAV JHAMB ASSISTANT EDITORS ASHISH BHAGAT NISHANT DHAR MAKE-UP ASSISTANT SHENOYA FERNANDES COSTUME ASSISTANT SHRUTI PILLAI AMRITA VERMA WARDROBE COURTESY JACK & JONES TATA CLiQ FBB PANTALOONS LIFESTYLE ARROW AEROPOSTLE NAUTICA FLYING MACHINE MANGO KOOVS ONLY STALKBUYLOVE MAX HIDESIGN HRX GAP ACCESSORIZE BEING HUMAN DRESSMAN MAHENDRA PRASAD SURYA KUMAR YADAV YOGENDRA KUMAR CASTING ASSISTANTS SHRUTI DUTT IPSHITA DEY EXTRAS CASTING RAVINDRA SURI AND CO. EQUIPMENT SUPPLIERS ACCORD EQUIPS PVT. LTD. VEENA ENTERPRISE ADDITIONAL SYNC SOUND NILESH JATWA BOOM OPERATOR DHARMENDRA SINGH RAJPUT ADDITIONAL BOOM OPERATOR CHANDPASHA JIYAUDDIN SHAIKH DIT SUJIT KAVANKAR CAMERA ATTENDANTS AADESH SIDDHU AKHILESH YADAV ANIRBAN MAHATO MUKESH KUMAR DAS SANKET CHOUDHARY LIGHT MEN EZAZ AHMED ISMAIL KHAN AFTAB ALAM RAMA SHANKAR TRACK AND TROLLEY RAJJAK KHAN SANJAY RIG ATTENDANTS DAYASHANKAR TIWARI HITESH RATHOD JAYESH RATHOD RAM SHARMA MUSIC GUITAR, UKULELE NEEL ADHIKARI PIANO & MUSIC PRODUCTION SANJAY DAS VIOLIN RAJARSHI DAS SONGS JUST DONT FIT (Title Track) WRITTEN AND COMPOSED BY NEEL & THE LIGHTBULBS VOCALS AND GUITAR NEEL ADHIKARI SYNTHESIZERS, PIANO SANJAY DAS THE NEWS WRITTEN AND COMPOSED BY NEEL ADHIKARI VOCALS AND GUITAR NEEL ADHIKARI PIANO SANJAY DAS PRODUCTION AND MIX SANJAY DAS MR. COOLIO WRITTEN AND COMPOSED BY NEEL & THE LIGHTBULBS TITLE SEQUENCE & PHOTOSHOOT DOPs ISHANI ROY OMKAR DEONALLI SOUND STUDIO AURALMAYHEM EDIT STUDIOS AFTERPLAY FILM STUDIO ICASTX TECHNOLOGIES CONTENT OPERATIONS SANGEETHA RAO BUSINESS DEVELOPMENT SHREYA AGARWAL ANUBHAV RAO RAGINI ROY SHIVI SINGH VISHWANATH SHETTY VIDUSHI GAUR FINANCE KUNAL LAKHARA SHAILESH KINJALE RUCHA MOKASHI LICENSING & SYNDICATION AKSHADA BHALERAO MARKETING BALRAM VISHWAKARMA HITESH PARDESHI MADHU GUDI MEDINI MANGALA RAUNAK RAMTEKE VIRAJ GHELANI TALENT MANAGERS JUHI SINGH (For Veer Rajwant Singh, Dhruv Sehgal) SANJEEVINI SINGH (For Kriti Vij) DICE MEDIA TEAM DHRUV SEHGAL KARTIK KRISHNAN AAKASH BHOJWANI ISHA KAZI NATASHA MALPANI OFFICE MANAGERS BHARAT ANGRE YOGESH BAJRANG SPOT BOYS AMARNATH SINGH RAJESH KUMAR SAROJ RAVI SANJAN PICTURE & PRODUCTION VEHICLES JUNED KHAN LOCATION MANAGERS HEMENDRA JAIN SANDIP PATIL SUMIT SINGH TRANSPORT LATA TOURS AND TRAVELS JUNED KHAN SUPPLIERS KALPESH ENTERPRISES OM NOVELTY PRINTONIC VANITY & GENERATOR RENTALS DREAMS ZONE AAYAN SOUND CATERERS BLUE CHILLI FOOD HOSPITALITY SONAM CATERERS LEGAL DOYEL SENGUPTA MATTOO (AMICUS IP) LOCATION COURTESY AJMERA I-LAND, WADALA, MUMBAI MOONSHINE CAFE & BAR INNOV8 COWORKING (www.innov8.work) COPYRIGHT (C) 2018 POCKET ACES PICTURES PVT. LTD.